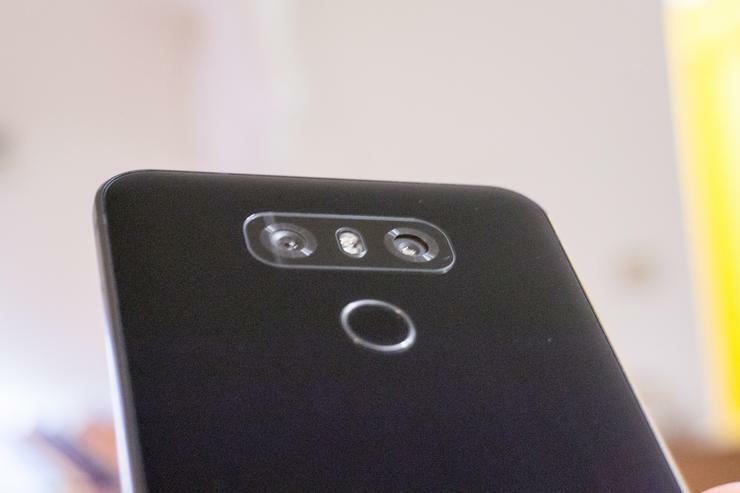 As with the LG G5 and V20, the G6 has two cameras—one standard, one wide-angle. Unlike those phones, the wide-angle camera isn’t a lower-resolution, lower-quality sideshow to the standard camera. On the G6, both cameras have the same 13MP sensor, so you get the same quality no matter which one you pick. While LG’s camera software has been quite good for awhile now—especially the manual controls—they’ve made some adjustments to take advantage of the new 18:9 aspect ratio display. The extra room is used for a “film strip” down the side during regular shooting, or for a variety of useful modes when shooting square photos (as the display is exactly the ratio of two squares side-by-side). Check out the above video for a quick run-through of the various features and modes.